✅ Trip Verified | Such an awful airport experience from the very beginning (immigration) to departure screening, considering it's one of the main ports of entry into a country that boasts having some of the best quality of life in the world! I went though the same 1h30m+ immigration queue 3 years ago and came back to the exact same disaster last month. Immigration is understaffed with just 5 personnel, and they're pretty slow with their job. Parking is extremely expensive, and the departure security screening queue is pretty long too! The boarding gate lounges are decent but nothing compared to the 5 star airports in Asia. ✅ Trip Verified | Thoroughly disappointed with my experience of Melbourne Airport. Melbourne itself is a fabulous city full of great things to do and friendly people. The airport however lets it down dramatically. From the ridiculously snail-like speed at the baggage claim, to the aggressive customs staff. People may not speak much English but that doesn’t give your staff the right to yell at them, roll their eyes and treat them like morons. Duty free was the icing on the cake. Five staff standing at checkouts. Two actually working cash registers. So slow I thought perhaps we were being secretly filmed. On finally getting served, I was informed the product I wanted wasn’t stocked. Mysteriously I’ve never had this problem in Sydney or anywhere else for that matter. 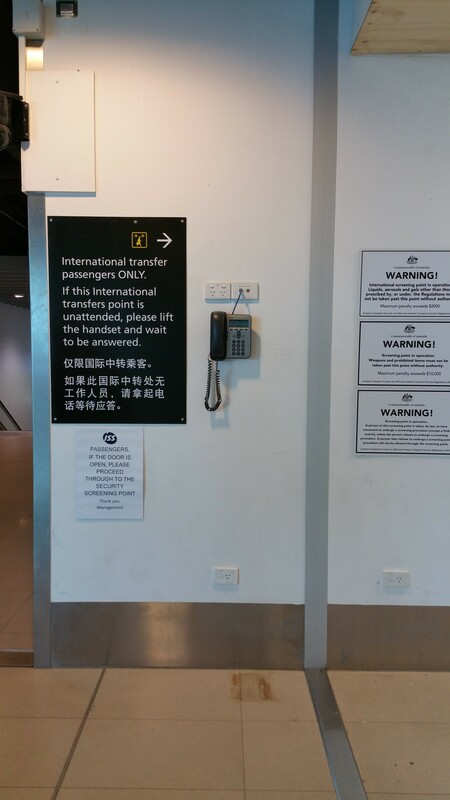 Basic manners, respect and efficiency are gravely lacking in this airport. "need a refresher in customer service"
✅ Trip Verified | Staff at Air NZ checkin/bag drop were very rude. I couldn’t activate the screen to check in so asked a member of the group crew. She didn’t even acknowledge me just touched the screen and walked away. Then I was at the conveyor to drop my bag when another ground crew member walked up and said she wanted to put some other customers bags on before me. Air NZ your ground crew staff need a refresher in customer service. 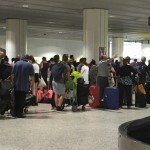 "a mass of unhappy frustrated passengers"
Not Verified | Awful arrivals experience - probably the worst airport in the world for international arrivals. 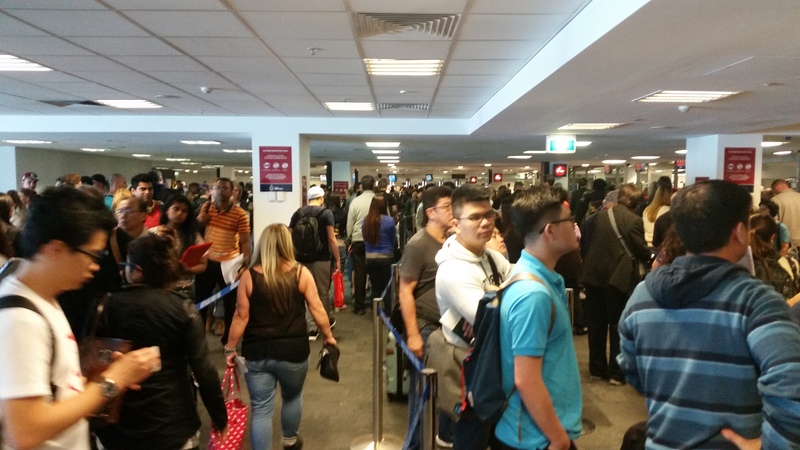 Poorly designed building and an attempt to use automatic photo booth gates that don’t work, take too long and aren’t enough of, just led to a mass of unhappy frustrated passengers and nobody from security or Melb airport to help. Truly embarrassing - and I say that as a resident of Melbourne. Not Verified | The worst possible airport in the world, after traveling around the world. They have got truckloads of quarantine rules with the lowest possible staff count. It takes 1 hr to clear customs and then another 1 hr to go out. Seriously? No one would even bother to visit Melbourne in few years time. 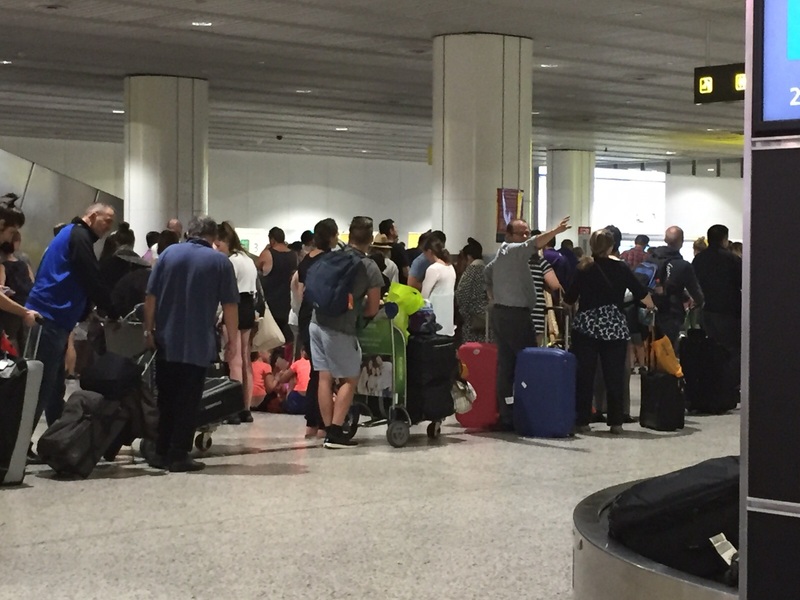 "all of a disappointing standard"
✅ Trip Verified | The airport operations were as smooth as we needed them to be as domestic arrivees and international departees on Virgin Australia flights. We consider that the refreshment establishments by the domestic gates after security are all of a disappointing standard. The range of refreshments is restricted, the premises are not inviting, and the prices are high. 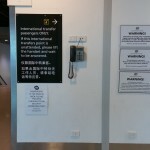 However the charging points in each departure areas are a good and positive facility. Based on observation the paid-for massage chairs can be removed as inevitably they are occupied by travellers who have no intention to use them on a paid basis. Our treatment in the International security area has resulted in me making a formal complaint. Whilst making our way through my wife and I found our way blocked: me by a male and she by a female each in uniform. They gesticulated us out of the main thoroughfare and through taped barriers they removed. There were no notices explaining what was happening, nor did the two explain anything to us or to the others similarly treated. In the area we were all told to open our bags. I used the only spare shelf area only to be ordered to move it to another shelf. The male officer then advised us he was going to make an explosives check. Without any explanation of what that would entail we were then "shooed" away from our bags as though we were children. The official then took an analysis swab over the bags and each of the travellers having made us stand with our arms out - again commanding compliance rather than requesting it. The same happened to my wife and the travellers with her in a separate pen. Whilst following the female official's instructions to "stand back" my wife accidentally stood on her foot which appeared to be taken as a deliberate act. Without any other explanation we were advised that the swab was clear and we were left to zip up our bags and leave. The male officer wished our group "a good day" but neither he nor the female officer expressed any thanks or apologies for our treatment. My wife was distressed by her treatment and I was shocked. I stood aside from the passers-by in the main thoroughfare to wait for her and the female official ordered me aggressively to move away. I explained I was going to wait for my wife. Having called out her order a couple of times, although I was causing no obstruction, she came over and pushed me roughly by the shoulder telling me to move away. I told her I was going to wait for my wife and that she was well out of order in physically pushing me. She then denied pushing me! Finally, apart for the very crass, aggressive and unprofessional actions of the two officials I wish to highlight that they put the same swab all the people and bags in each pen. If the swab had registered as positive then not only would they not know who or what was responsible but it seems highly unlikely that they would handle the situation in anything other than an aggressive and coercive manner. For all these reasons those two officials need to be identified, sanctioned, and properly trained for their roles and removed from public duty until that has been satisfactorily completed. Not Verified | Was a little worried before travelling to MEL after reading reviews. But my experience was great. Landed on international flight at 6.50am and by 7.30 was on bus to Melbourne. Baggage and customs went fairly easy. The one issue I saw is with immigration and the self-service kiosks. 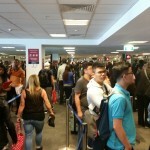 Reviewers say that there is no one to ask questions to is fairly true and lines are long waiting to swipe your passport, but everything does move pretty quickly. On the way out for a domestic flight via Virgin's Terminal. Everything was very quick for checking in and passing by security. It's a domestic terminal, so no frills. ✅ Trip Verified | Departed Melbourne International Airport on February 19th. Since my last trip (last year) they have installed new automated carry-on baggage security screening facilities. Conveyor system as per normal although it starts moving from the point at which you place the bags on the conveyor. However the glitch is that the baskets are automatically conveyed back and pop-out at a number of exit points for re-use, which sounds fine in theory, but passengers in the single file queue are expected/ushered to take these baskets with about 4 persons at any time trying to put their basket(s) onto the conveyor. Those closer to the scanner unit have difficulty getting their baskets (and they are very large now) onto the conveyor because upstream other passengers are getting theirs on first and there is no space for those further downstream to find sufficient space. Only thing people could do was physically force baskets back as the conveyor was moving to create enough space to get theirs on. Security staff seemed oblivious or overwhelmed. It was a total shambles. The old system with a single queue of passengers loading their baskets as their turn came worked far better. And to make matters worse the airport was not that busy when I was there, the mind fair boggles to think what it would be like when it is busy. Did they ever test the basket loading aspect when commissioning the new units under "real-life" conditions. What would have taken probably several minutes or so using the old system is now taking multiples of this. Hope you are not rushing for your flight! "airport was designed by an idiot"
Not Verified | Terminal 3 is I think the worst airport terminal I've been to. There is one toilet for the whole terminal so there is a queue and it is dirty. There is one Cafe which is hugely overpriced, $14for a sandwich. I also found out after security there is no information screen so you can't tell which gate the flight is leaving from if it changes, which mine did. You need to walk or each gate to read the screen. Honestly this airport was designed by an idiot that had no comprehension of what and airport needs to do. I can think of any airport I've ever been to that has worse facilities. ✅ Trip Verified | Airport a bit tired, but security staff were shocking. Everyone was queued up for half an hour, staff were walking up and down the queues yelling at everyone to remove belts and place passports in bags, and the girl we experienced loading belongings on trays was purely obnoxious. We have changed our mind about holidaying again in Australia due to this aggressive, unpleasant approach. It felt like we were in a movie about Auschwitz.